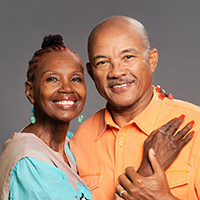 After being diagnosed with cancer, Charles and Bari Ross are in remission years later and giving back to Winship as volunteers. 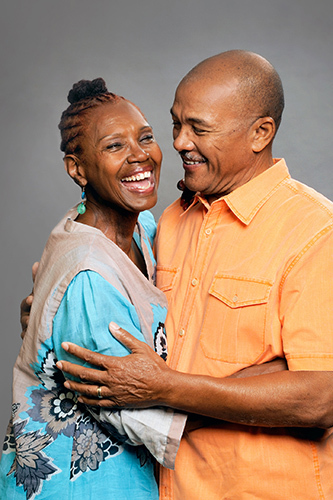 Three days after his wife Bari was diagnosed with stage IV head and neck cancer, Charles Ross learned he had acute lymphoblastic leukemia. During their treatment at Winship Cancer Institute, they were often in the hospital at the same time. Now, years later, both are in remission and giving back to Winship as volunteers. Every fall, the couple recruit family and friends to join their Ross Re-Missionaries team at the Winship Win the Fight 5K. "I'm about fun and I'm about giving back. Those are my priorities on any given day, so why not combine the two?" says Bari Ross who is chair of the Winship Patient and Family Advisors Council. She has also been an active member of the Winship Peer Partner program which pairs volunteer survivors with patients going through cancer treatment. She likens herself to being an ambassador. "I show patients that you can survive cancer. It's not over just because you hear the word cancer."